If you want to a good .my domain name then garb this National ICT Month (NIM) 2010 and Merdeka promotion. You can enjoy up to 50% off promotion for this year on all .my domain name registrations and renewals. This domain mega sales is in conjunction with the National ICT Month (NIM 2010) co-organised by PIKOM and MOSTI and also in conjunction with The Merdeka Day celebrations. Check your required domain availability and grab it on 1st Aug 2010. This promotion starts from 1st Aug 2010 to 31st Aug 2010. 1. 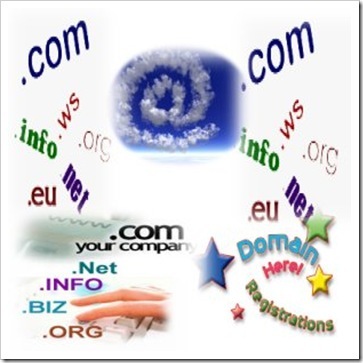 Promotional price is only valid for all .my domain names from 01st Aug 2010 to 31st Aug 2010.
iii. Advance renewal during the promotional period. Only renewals of up to one year’s worth qualify for the promotional price. The subsequent years will be subject to normal renewal fees. 3. Domain names that DO NOT qualifies for this price promotion are those that are pending receipt of payment from .my DOMAIN REGISTRY. 5. .my DOMAIN REGISTRY, reserves the right to reject any registration and /or renewal of domain names without prior notices. The domain name registration and / or renewal shall be subject to the rules on choosing domain names, policies & procedures of .my DOMAIN REGISTRY, which includes the Agreement for Registration of Domain Names and the Reseller Agreement. These can be accessed from our website at http://www.domainregistry.my. This entry was posted on Thursday, July 29th, 2010 at 12:42 am	and is filed under Tips. You can follow any responses to this entry through the RSS 2.0 feed. Both comments and pings are currently closed.